There are many reasons to get a water test in your Nashville, Tennessee home. Whether you just bought a new home, have a young child who you want to ensure gets the best possible water, or simply have never tested your water and are curious about what’s in it, RainSoft can help. Since 1953, RainSoft has been dedicated to finding ways to make good water better. In order to do this for you, we first need to learn what’s in your water and whether our systems can help you with the issues you’re concerned about. That is the reason we’re happy to offer a complimentary in-home water hardness and drinking water test. Our test, which is commitment-free, is designed to help you learn more about your water supply. Unlike other companies, we don’t make you do all the work by asking that you take a sample of your water, mail it to us, and await your results. Instead, if you decide you want a water test from your authorized RainSoft dealer serving Nashville, you can call us to set up an appointment date and time. Once the day for your water test arrives, we’ll send out a knowledgeable representative to your home. The representative will then take a water sample from your faucet, test it right in your kitchen, explain the results, and answer any of your questions. 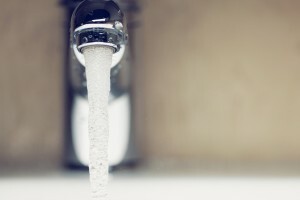 If any contaminants are found in your water, our representative will explain the systems that can eliminate them and give you higher-quality water. While these are not the only effects of contaminants in your water supply, they can be a sign of unwanted elements in your water supply. If you’ve decided it’s time to get a complimentary water test for your Nashville, TN home, contact RainSoft today.